The Washington Post has sunk to a new low with this piece. The president is a socialist. He is neutering the United States on the world stage. He is spending us into bankruptcy. He is hellbent on expanding national health care, which will surely lead to government death panels. He is advancing big-government agendas everywhere from Main Street to Wall Street. And do we really know the truth about his personal history and religion? Perhaps the man in the Oval Office should be impeached — even tried for treason. If today’s extremist rhetoric sounds familiar, that’s because it is eerily, poignantly similar to the vitriol aimed squarely at John F. Kennedy during his presidency. And just like today, Texans were leading what some of them saw as a moral crusade. 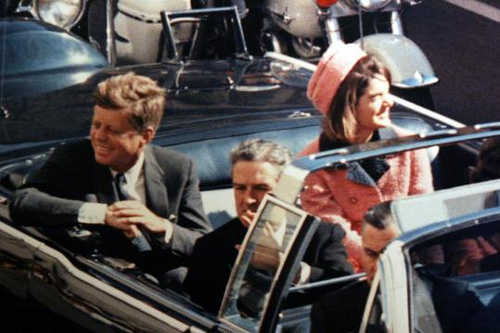 To find the very roots of the tea party of 2013, just go back to downtown Dallas in 1963, back to the months and weeks leading to the Kennedy assassination. It was where and when a deeply angry political polarization, driven by a band of zealots, burst wide open in America. It was fueled then, as now, by billionaires opposed to federal oversight, rabid media, Bible-thumping preachers and extremist lawmakers who had moved far from their political peers. In 1963, that strident minority hijacked the civic dialogue and brewed the boiling, toxic environment waiting for Kennedy the day he died. As he planned his trip to Dallas in November 1963, President Kennedy knew that hundreds of thousands across Texas adored him — or at least, respected the office he held. But he also knew that there was an increasingly hysterical fringe. Note how they never mention JFK’s actual killer was a deranged communist.